Secret Garden Studio – Beautiful art by Catherine Bremner in oils, acrylic and pastels. 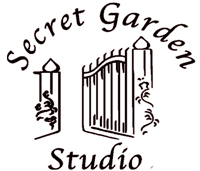 Tucked away, deep in the Suffolk countryside, nestled behind a picturesque 800 year old cottage, is the Secret Garden Studio. In this small but beautiful space I create paintings inspired by life. These range from animals, painted in a traditional lifelike style, to abstract paintings of an organic nature, full of colour and movement.